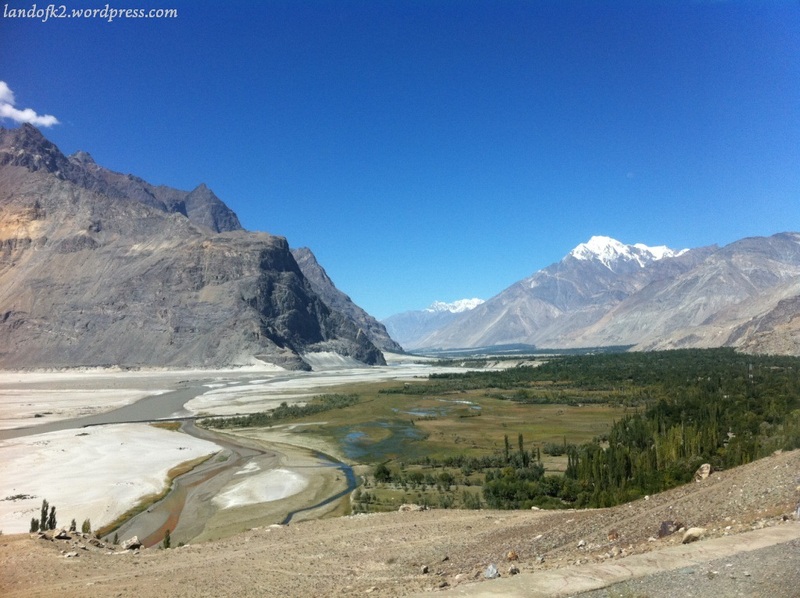 Nestled in the high valley of the Indus River, surrounded by the Himalayas, Karakorams, and Hindu Kush is Baltistan, the formerly autonomous kingdom that is now part of the Gilgit–Baltistan Province of Pakistan. Being at the same approximate latitude as Santa Fe (36o N), with a mountainous landscape, severely cold winters, and not enough rain to support agriculture except for the water flowing down the Indus from melting glaciers, the region is very much a higher, drier, and colder version of New Mexico. The Balti Invasion of England started in the mid 1970s, when the Adil and Paris restaurants opened in Birmingham. These establishments introduced Balti food to the curry-crazy Brits. At its best Balti food is very aromatic but not excessively spicy, and is evocative of the Silk Road that gave it its origins. Balti Curry Houses are most known for a mix-and-match menu in which the diner chooses a meat, pulse, and vegetable or two that will be all mixed together in a karahi at the table. The food is plentiful, inexpensive, and delicious, and by the turn of this millennium was competing with tandoori as the favorite curry-style in the UK. The best place to learn about Balti Cuisine are the books and website maintained by Pat Chapman, founder of the Curry Club, and ‘curry king’ of Britian. His family has a long connection to the Indian Subcontinent through service to the British Raj. His recipes are excellent, well tested, and allow for anyone to recreate a British Curry House meal at home. Why not do yourself a favor, head over to his website and bookmark it? We’ll wait. Ok, are you back? Great! Being Muslim, the Balti themselves tend to not be vegetarian. But, the Balti have always enjoyed a diversity of vegetable foods, and would abstain from meat eating during certain fast days. As a result, this cuisine has a number of foods that are -- or can be easily adapted -- to vegetarian rules.